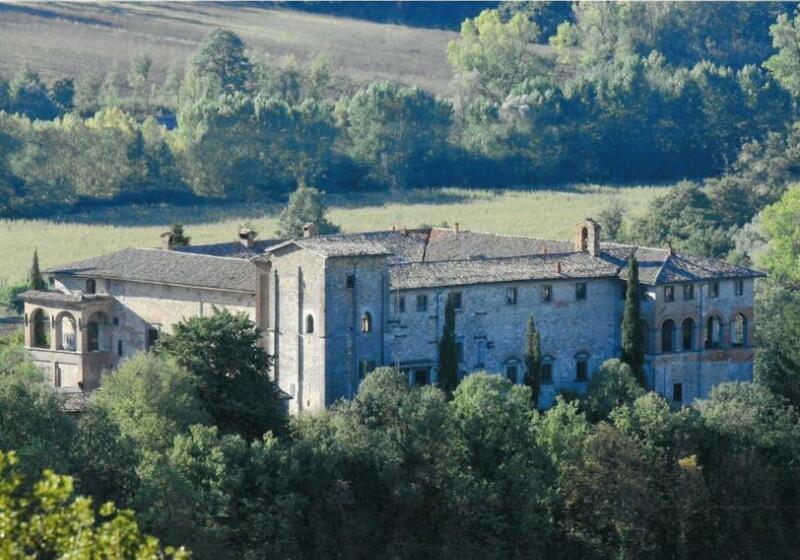 Majestic castle and countryside estate, set in 530 hectares (~1,310 acres) in Umbria. The estate consists of the castle; a consecrated chapel; 12 farmhouses — some finished, others needing restoration; several agricultural buildings and stables. 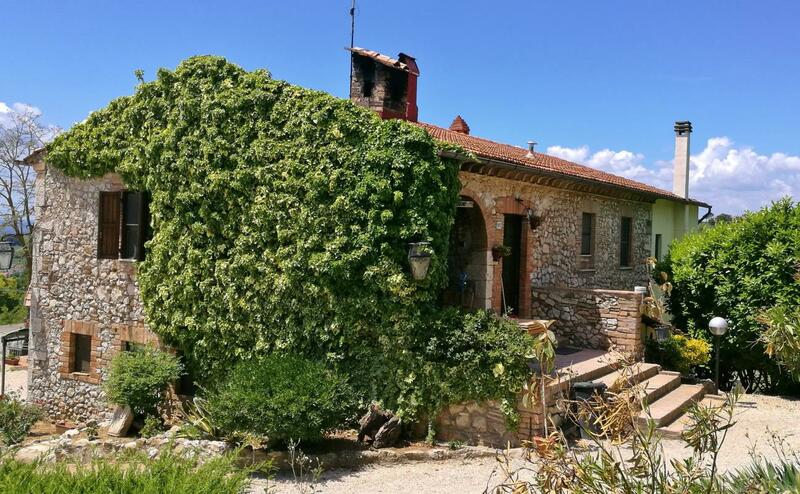 • Includes independent "granny flat"
Renovated farmhouse set in 25,000sq m ((6+ acres) in Penna in Teverina, Umbria. It measures 420sq m and has 3 main floors plus a basement/lower-ground floor. 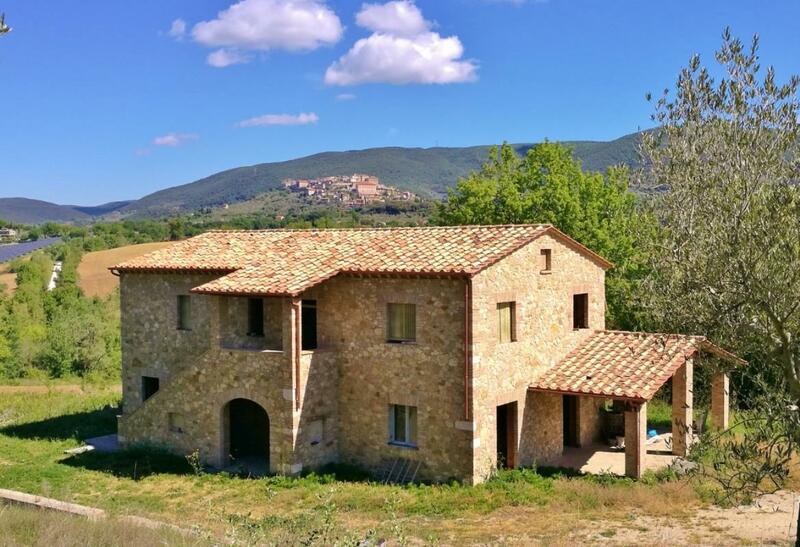 Magnificently renovated stone-built farmhouse set in 17,000sq m (4+ acres) in Montecastrillio, a short drive from Amelia, Umbria. It measures 250sq m and boasts characteristic wood-beam ceilngs. 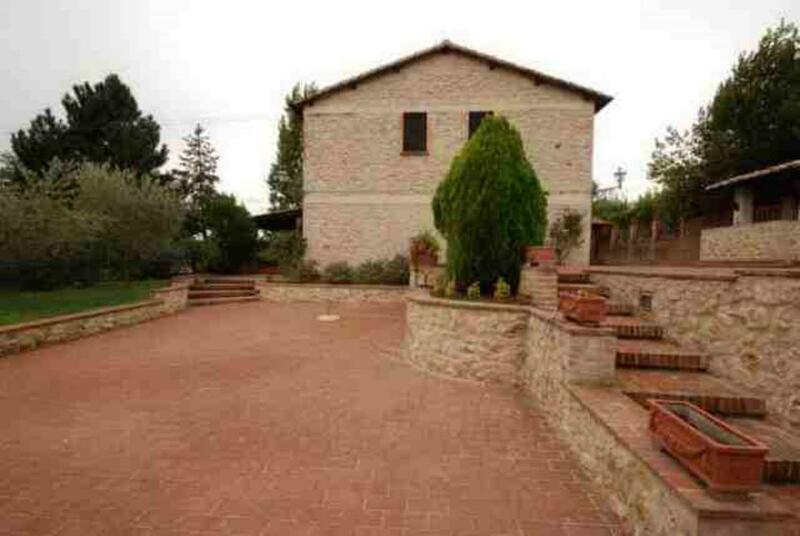 Detached villa with swimming pool, set in 15,000sq m (~3.75 acres) on the outskirts of Amelia, Umbria. It measures 170 sqm and is on a main ground-level floor plus a lower-ground floor. 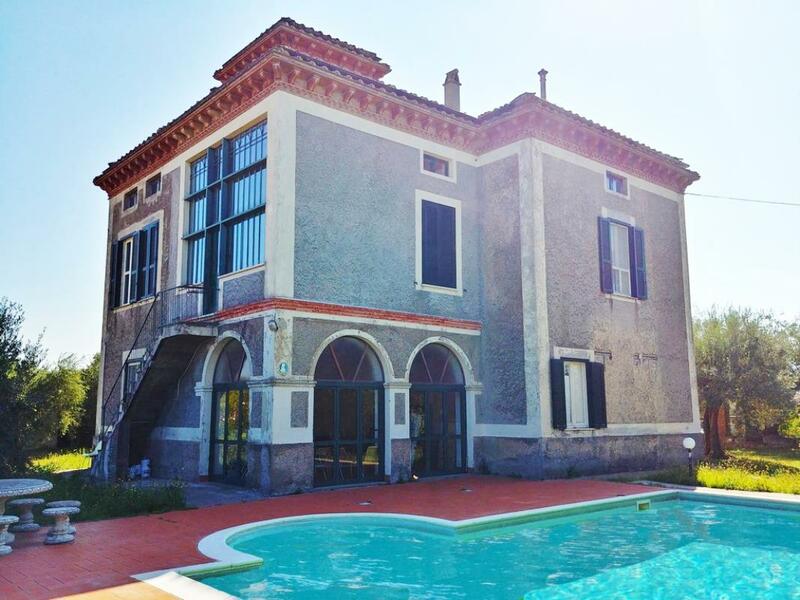 Period villa with swimming pool and fenced garden. The villa measures 280sq m over two floors + a tower floor. 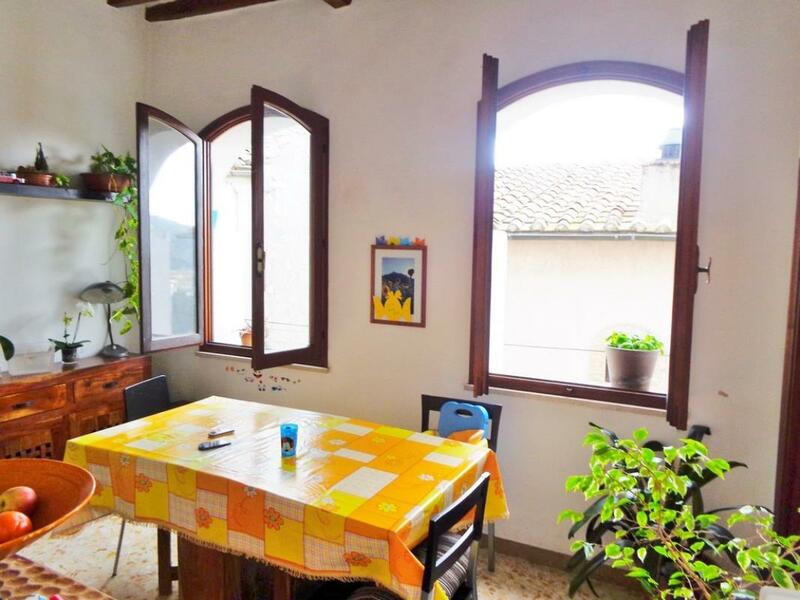 Renovated apartment with charming frescoes and cotto flooring in the heart of the Old Town of Amelia, Umbria. It offers characteristic views over the town streets and countryside. 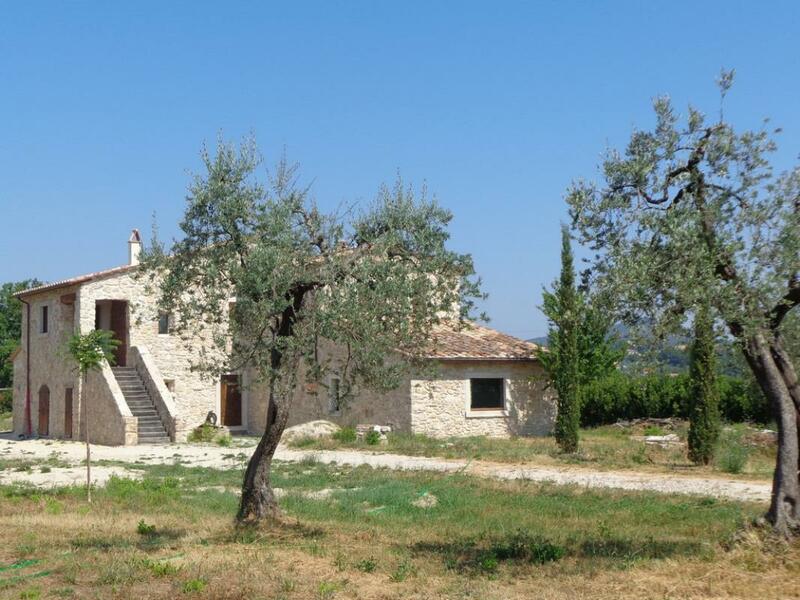 Detached, renovated stone-built house with superb countryside views. 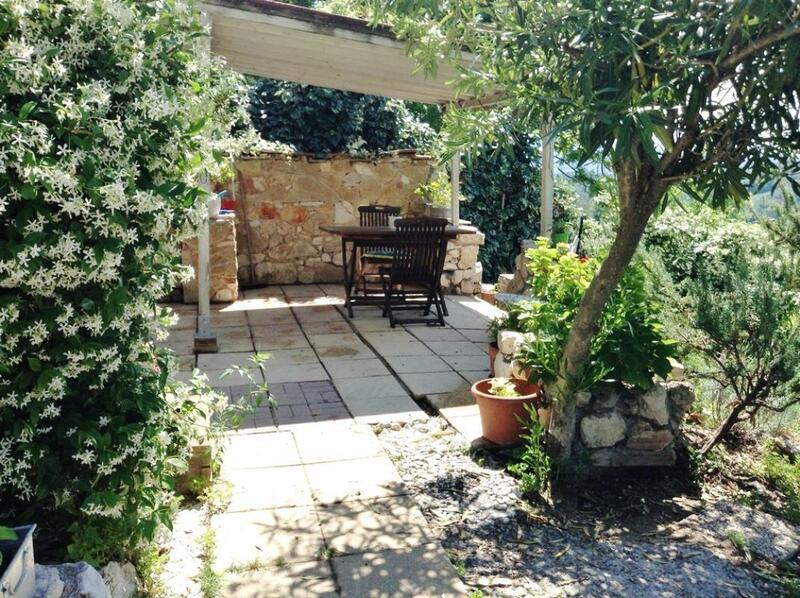 Located close to the historic Old Town of Amelia, Umbria. 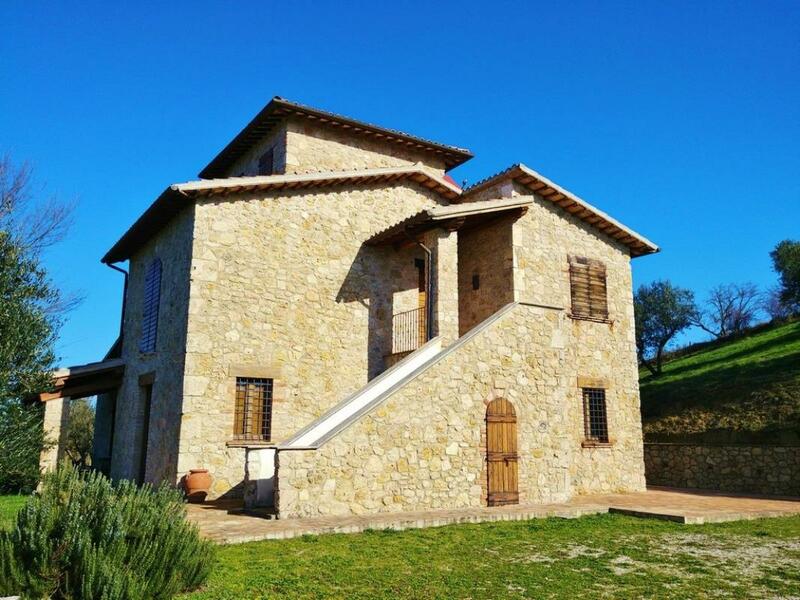 Recently built stone farmhouse set in 35,000sq m (~8½ acres) of land in Lugnano in Teverina, Umbria. The farmhouse measures 220sq m and is set over 3 floors. • 25,000sq m (~6+ acres). 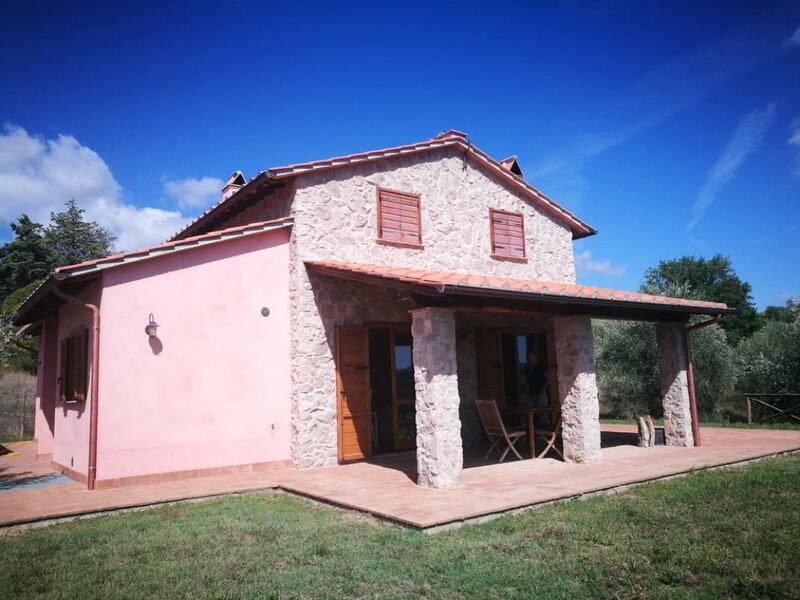 Near Rome, a charming renovated farmhouse set in 25,000sq m (~6+ acres). It has pleasing traditional features such ceilings in exposed wood beames and tiles and walls in stone. 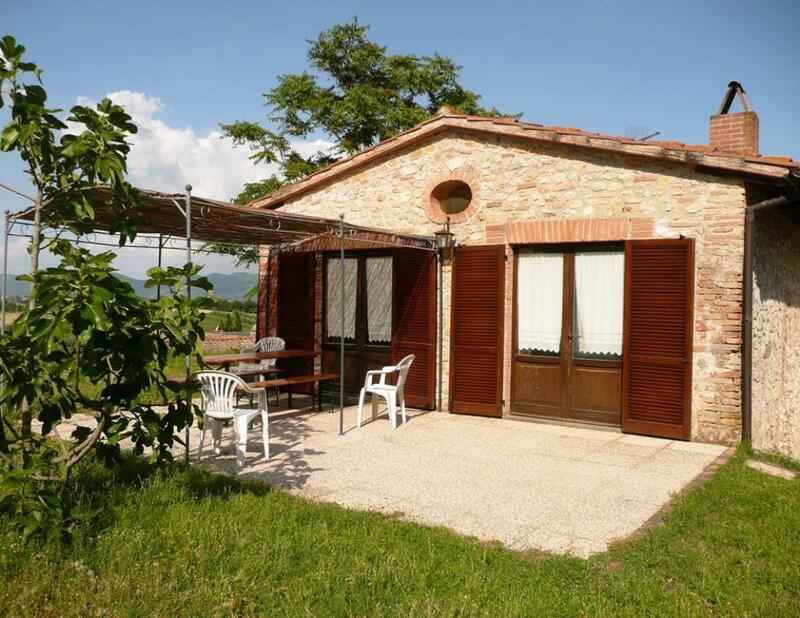 Detached villa in the countryside of Amelia, Umbria, in Central Italy. 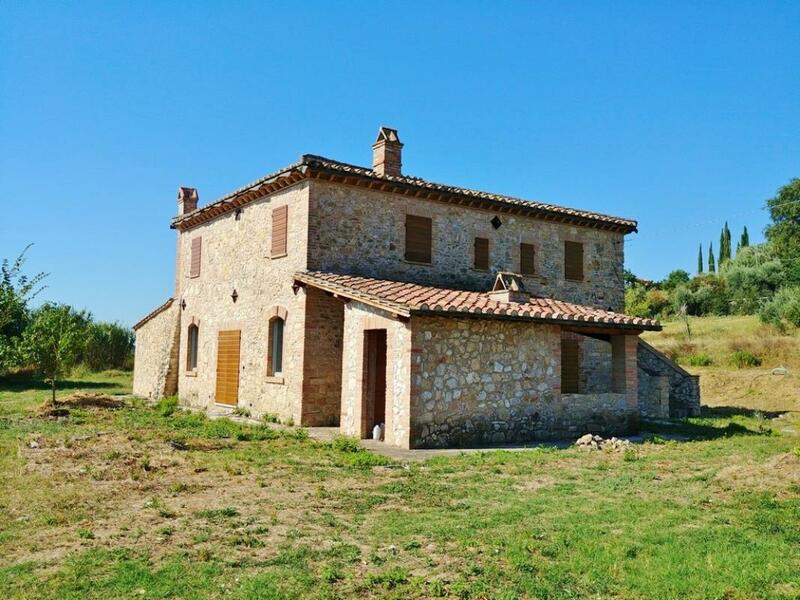 Recently built detached 3-bedroom stone-built farmhouse in Amelia, Umbria. It measures 210sq and comes with a porch and 2,000sq m of fenced grounds. 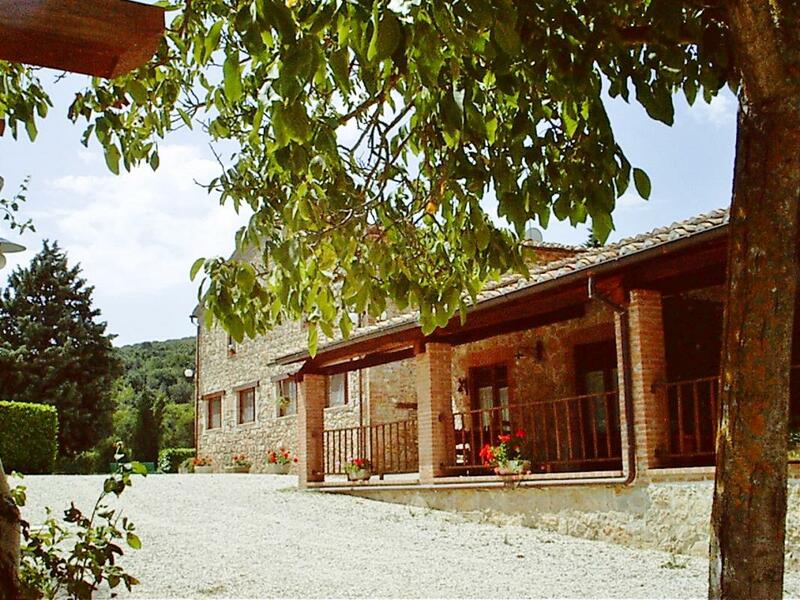 Located in a restored 17th century palazzo, a stunning 4-bedroom apartment in Amelia, Umbria. It measures 270sq m and comes with large garage and cellar, 130sq m garden with plants and courtyard. 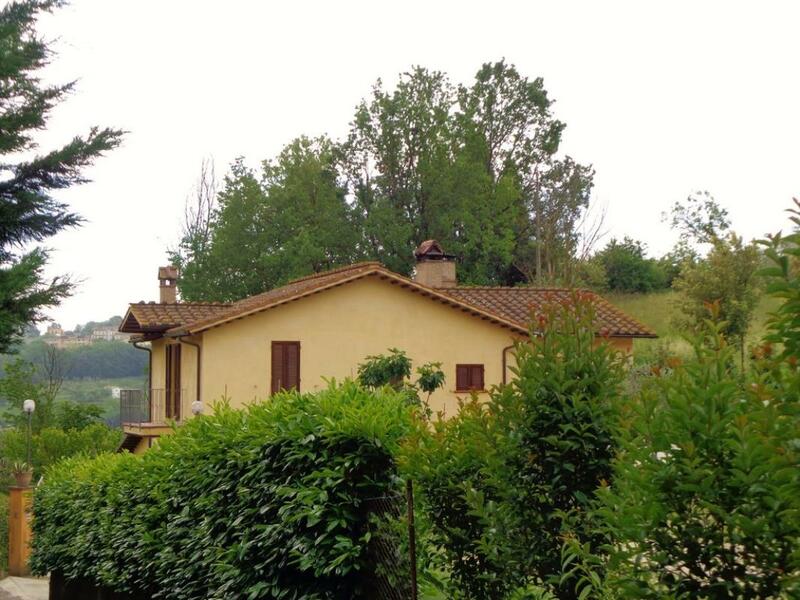 Set in 4,000sq m (1 acre), a lovely detached farmhouse with views of the Umbrian countryside in Amelia. Elegantly renovated, it maintains traditional features such as ceilings in exposed wooden beams and cotto-tile flooring. 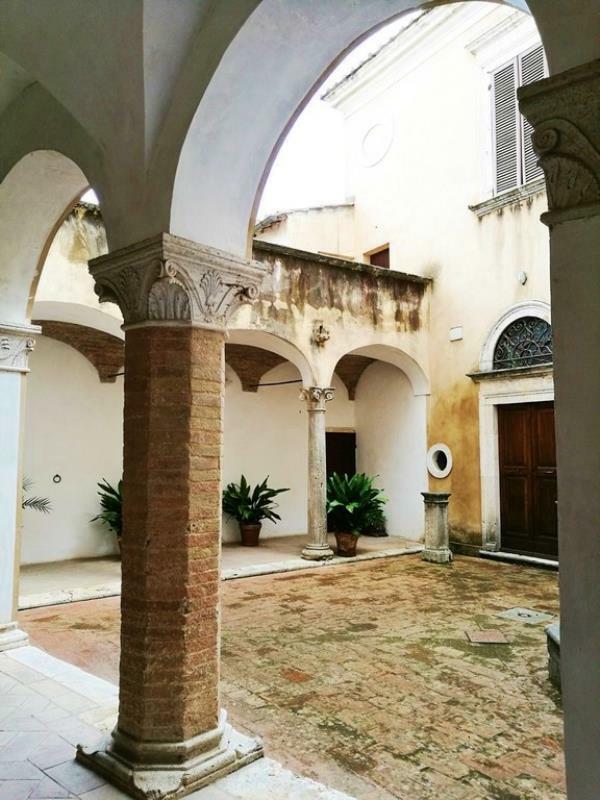 Restored apartment in an historic palazzo dating back to the early 1400s. It measures 160sq m and also has a balcony. 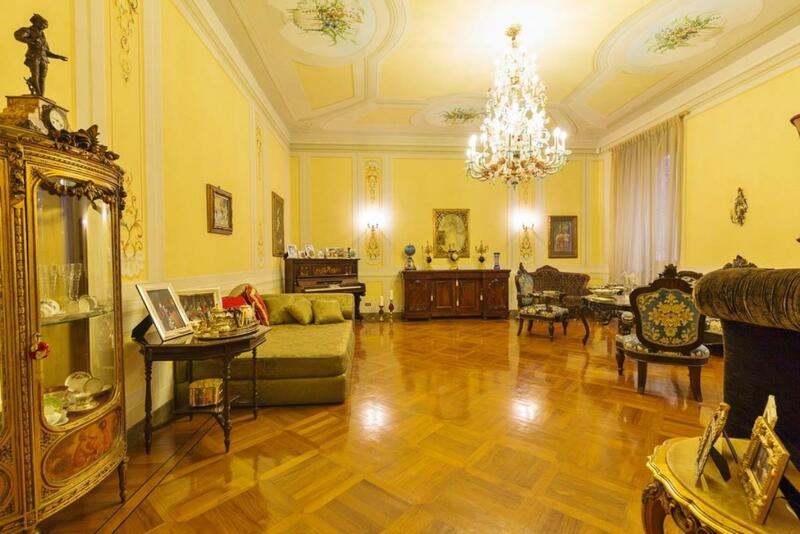 The apartment boasts high vaulted ceilings, some with frescoes. 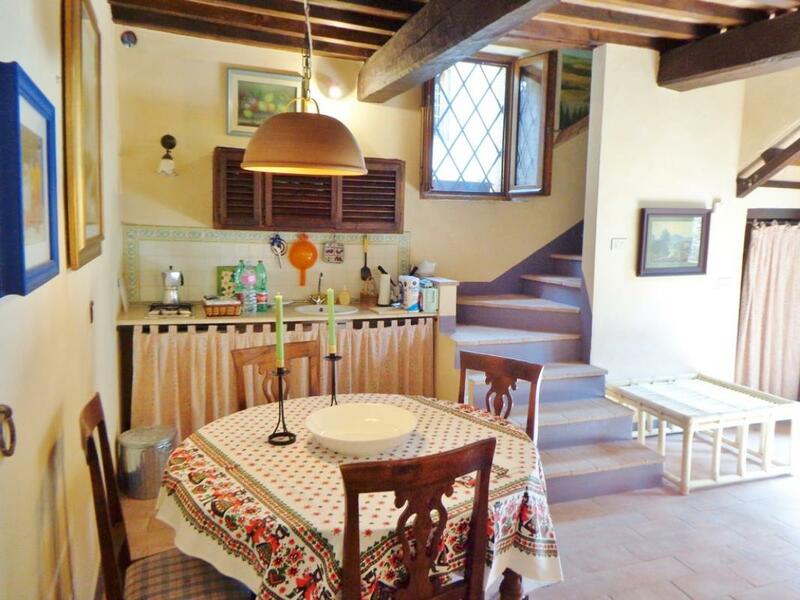 Near the main piazza in Cetona, Tuscany, a lovely restored apartment. 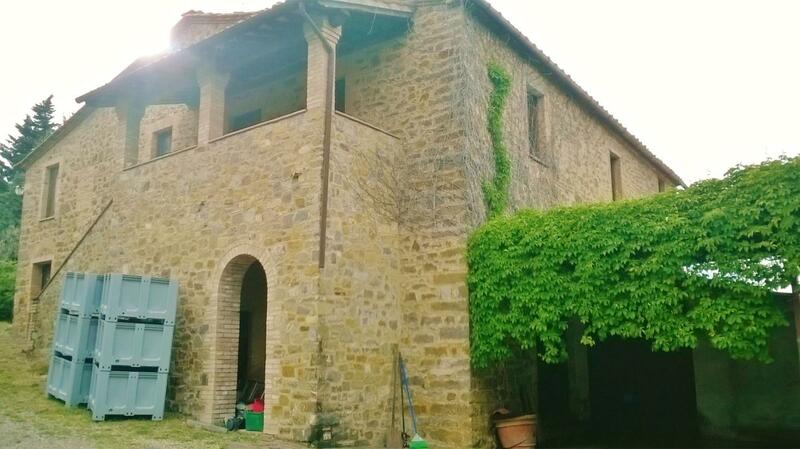 Wine- and olive oil-producing farm estate of 14 hectares (~35 acres) in Montalcino, Tuscany. There is a 4.5-hectare Brunello DOCG vineyard and a 2.5-hectare Rosso di Montalcino DOC vineyard. Annual production capacity: 27,000 bottles for Brunello and 18,000 bottles of Rosso di Montalcino. 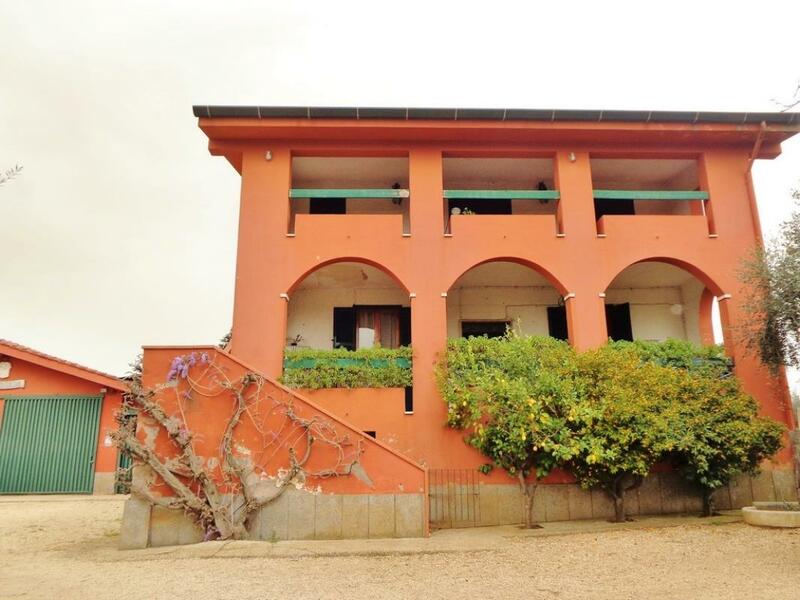 Wine-producing farm estate of 40 hectares (~100 acres), located in Scansano, southern Tuscany. It includes 20 hectares cultivated with DOC Morellino grapes. There is also an olive grove and a cedar woodland. 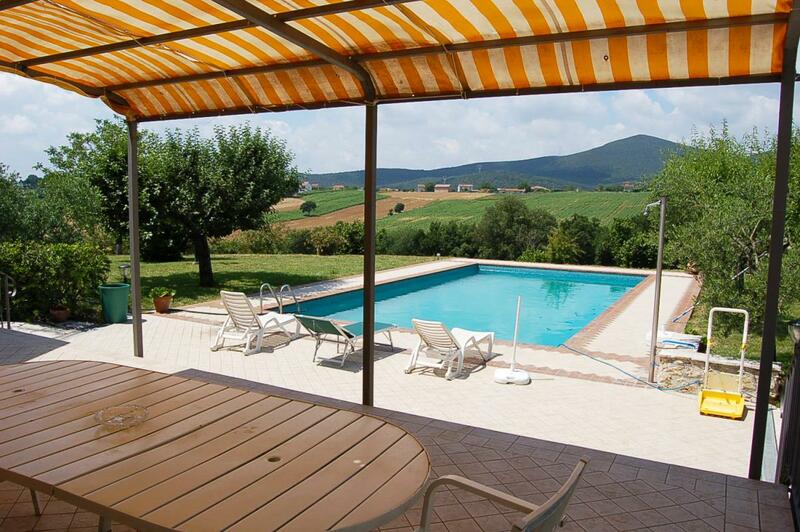 Close to Rome, a wine-producing farm estate of 210,000sq m (21 hectares/52 acres). It is located in an area famed for its DOC Colli Lanuvini and DOC Colli Lanuvini Superiore wines. 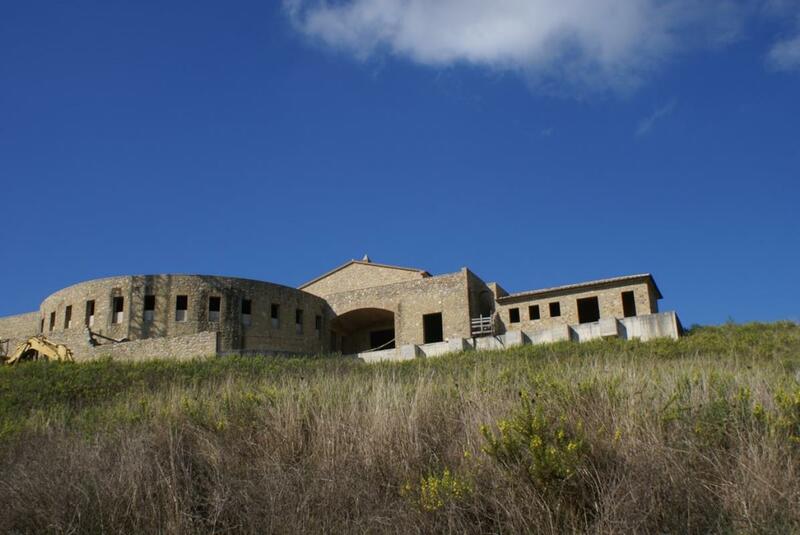 The estate also contains an olive grove of 1.4 hectares, where about 380 olive trees are cultivated. 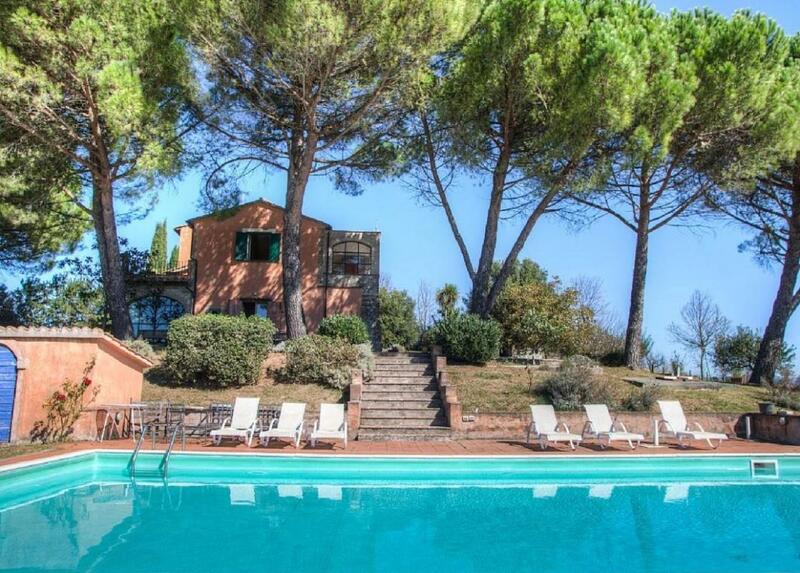 Dating from the early 1900s, a finely restored farmhouse with separate guesthouse set in 8,000sq m grounds in Amelia, around an hour from Rome. 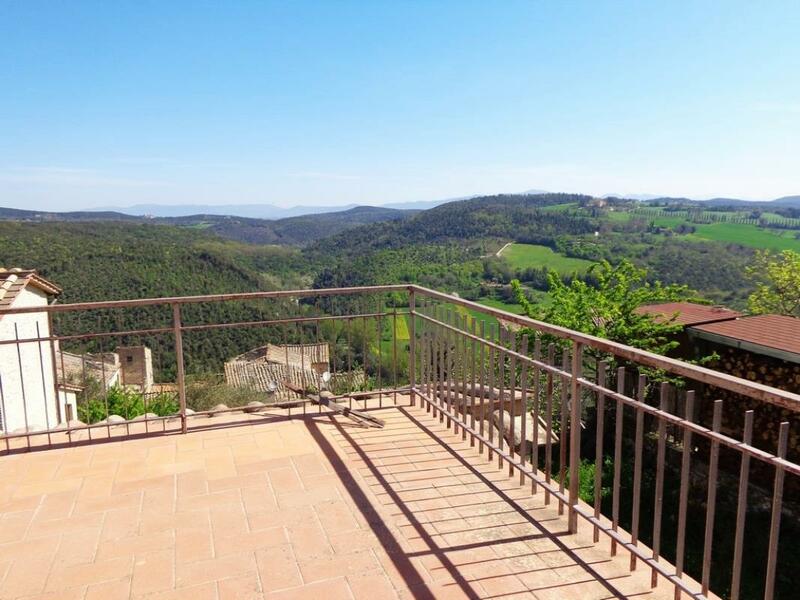 It boasts a splendid view over surrounding hillsides. 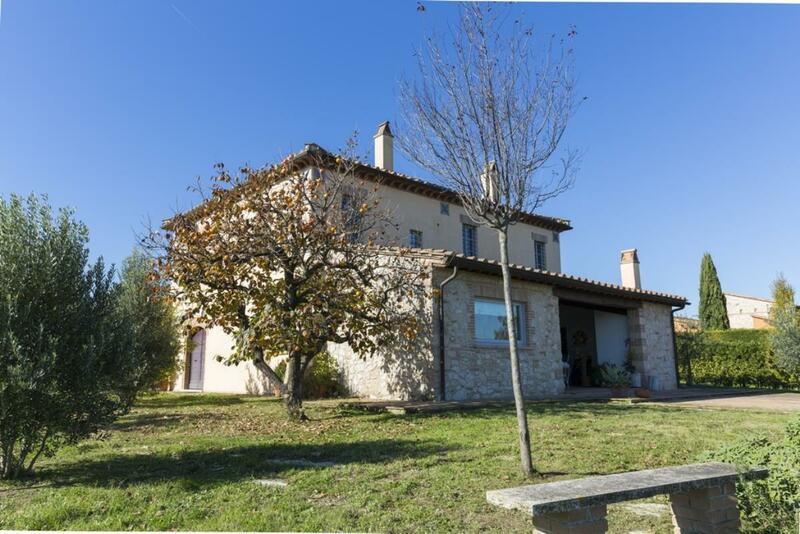 Superbly restored detached 4-storey stone-built country home with swimming pool, set in 4.6 hectares (~11.3 acres) in Narni, Umbria. 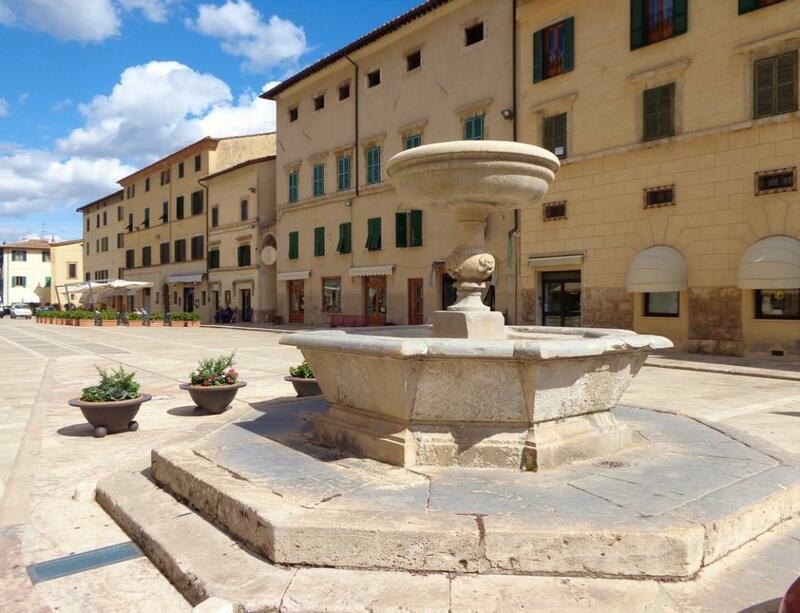 In the heart of the Old Town, a restored 2-bedroom apartment in Amelia, Umbria. 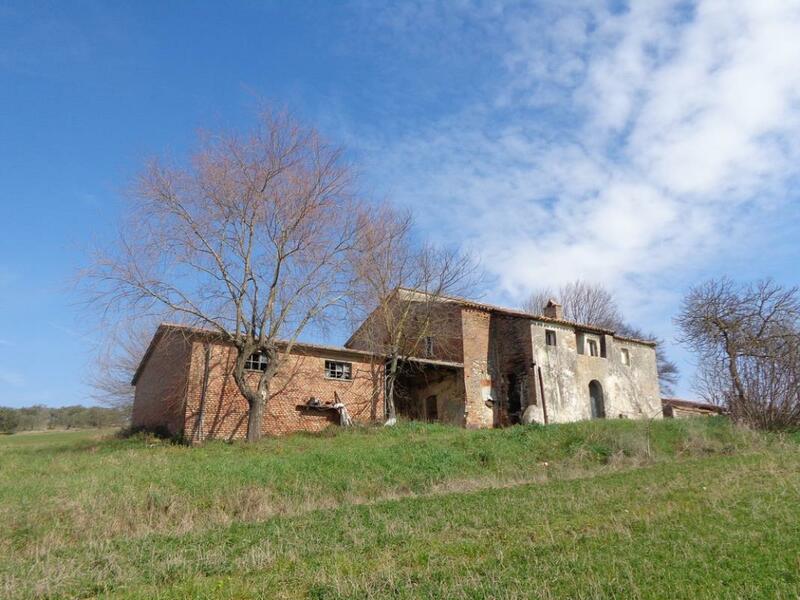 Old country house in a dominant position on a hill with breath-taking views. 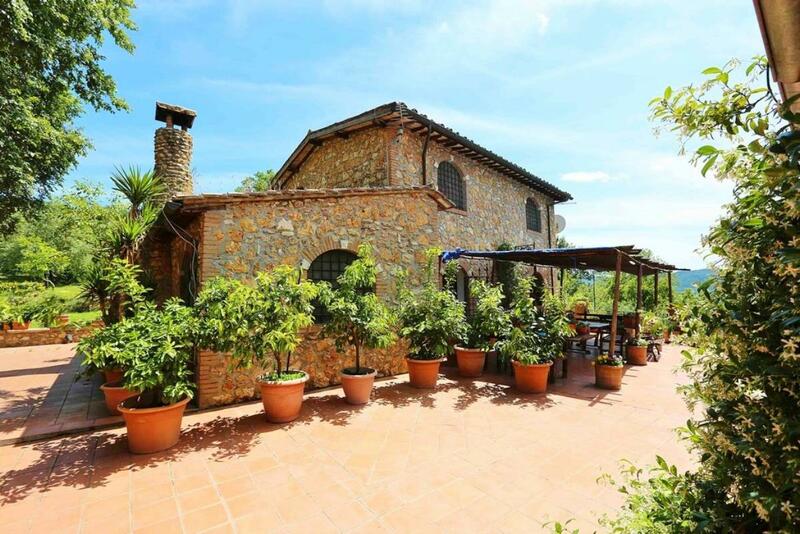 Villa with 2,300sq m of fenced land in a panoramic position a few kilometres from Amelia. 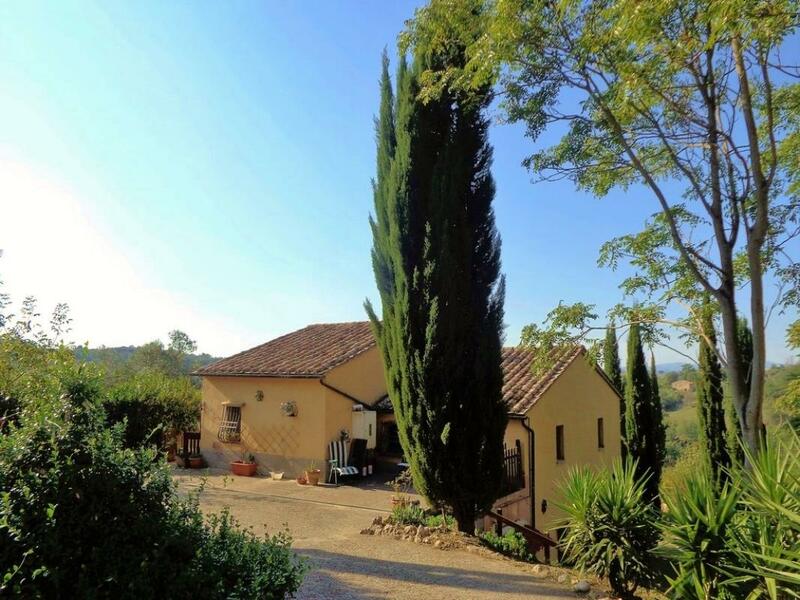 Stone-built country house with panoramic views over the hills of Umbria, with annexes for a total size of about 450sq m.
Villa with panoramic views over the medieval town of Amelia and the surrounding hills, in a reserved but not isolated position, 4km from the main square of Amelia and one hour's drive from Rome. 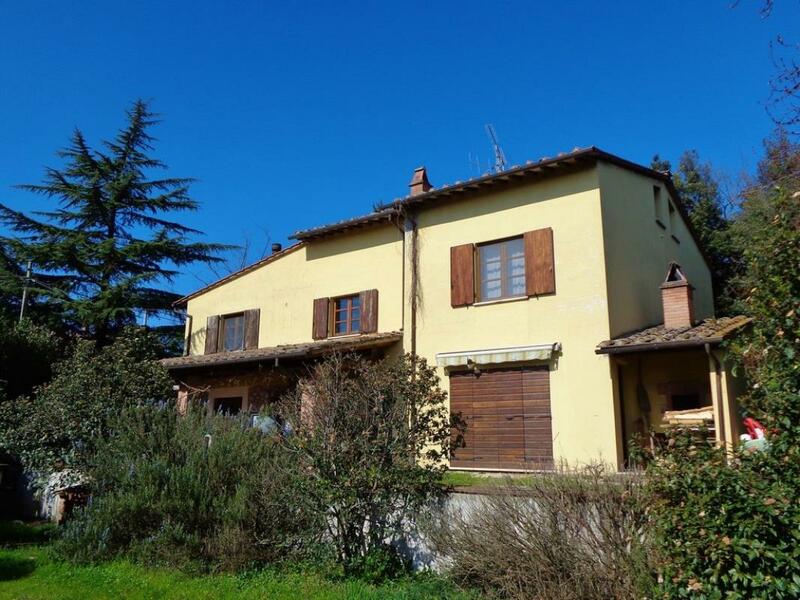 Semi detached villa with fenced garden in the countryside near the centre of Amelia. 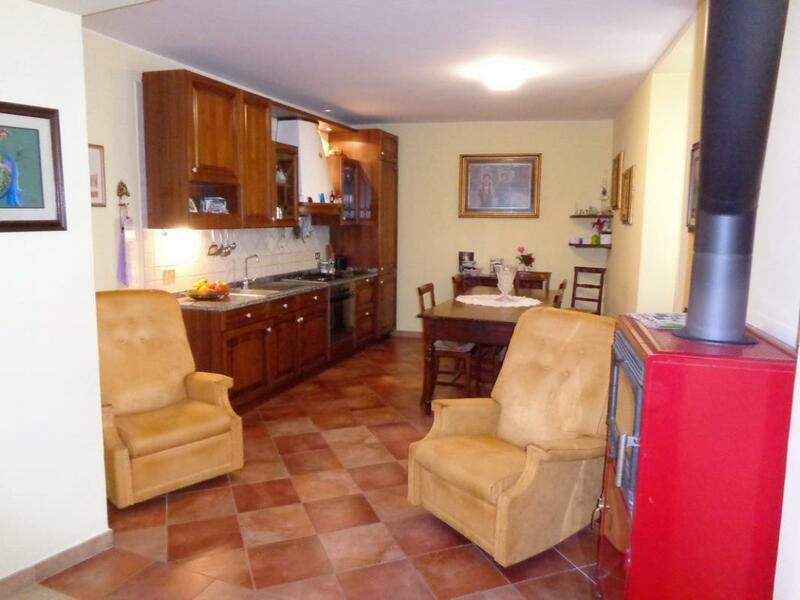 Very bright apartment on the second floor of a small building in the historical centre of Amelia. Apartment on the first floor of a small building in the characteristic historical centre of Amelia. 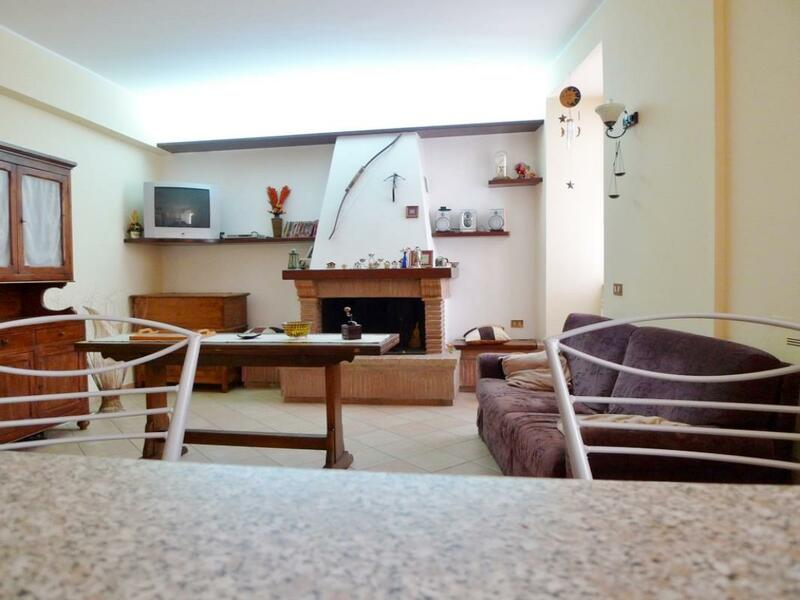 Characteristic apartment with independent access and private courtyard within the walls of Amelia. 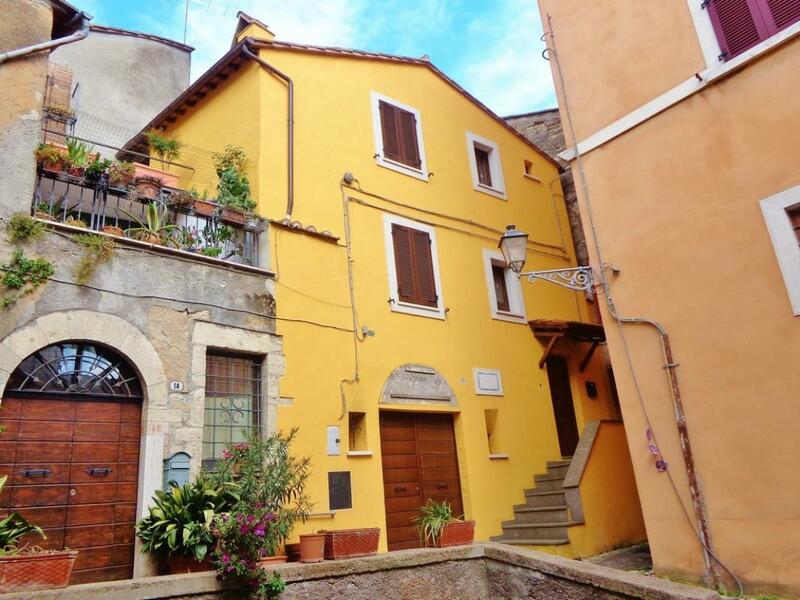 Recently restored apartment of 65sq m in the characteristic historical centre of Amelia. 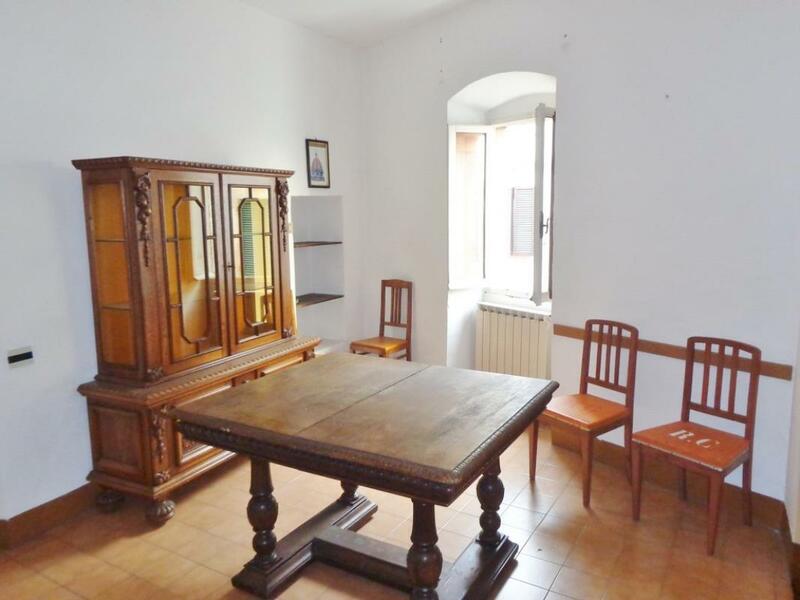 Completely restored town house in the historical centre of Amelia, in a quiet location. 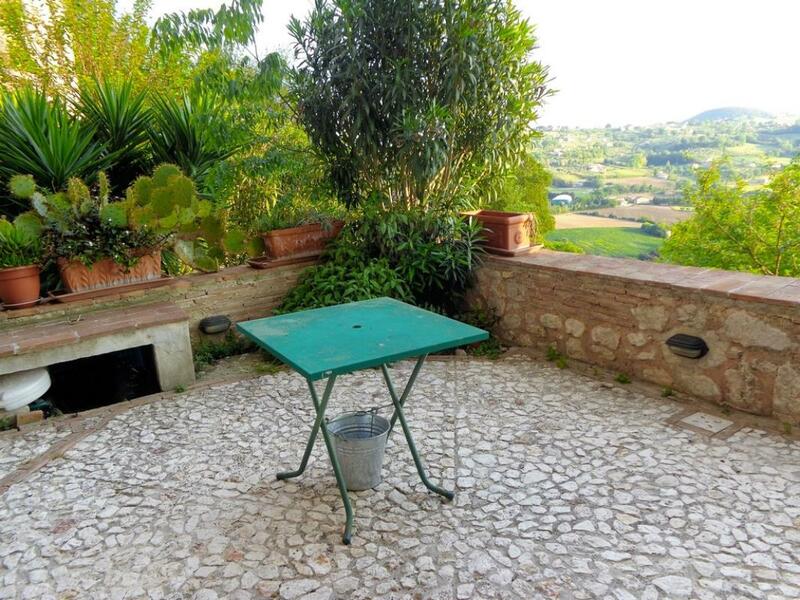 Completely restored stone-built country house with fenced land and swimming pool, about one hour from Rome, in the heart of the Umbrian countryside. • REDUCED BY NEARLY 35%! 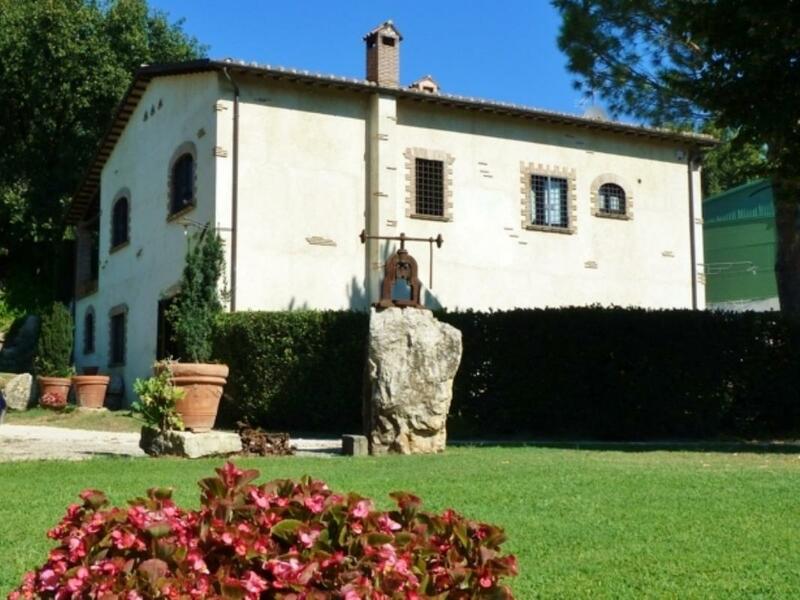 Manor house from the beginning of the 1900s, completely restored in 2006, surrounded by the charming countryside of Umbria, boasting breath-taking views on the hills and mount Terminillo. 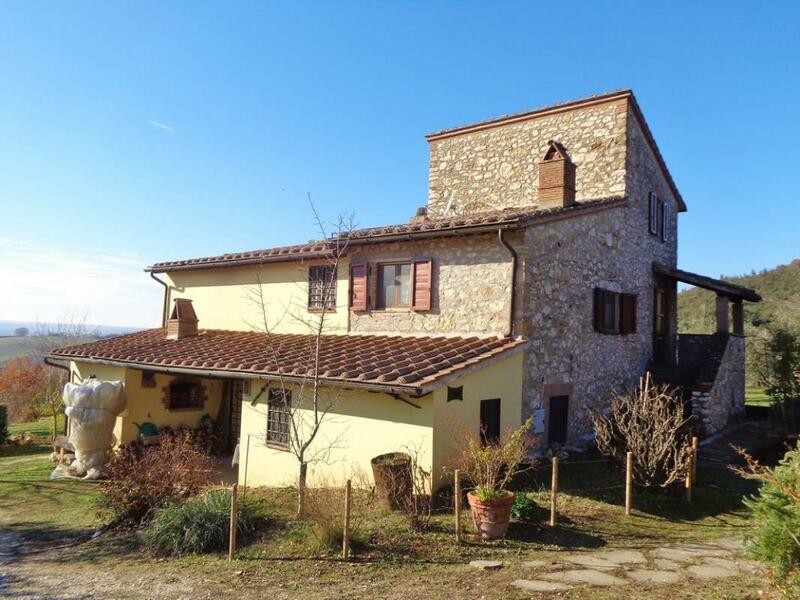 Stone-built country house of about 200sq m boasting breath-taking views, located between the charming Umbrian towns of Giove and Attigliano. 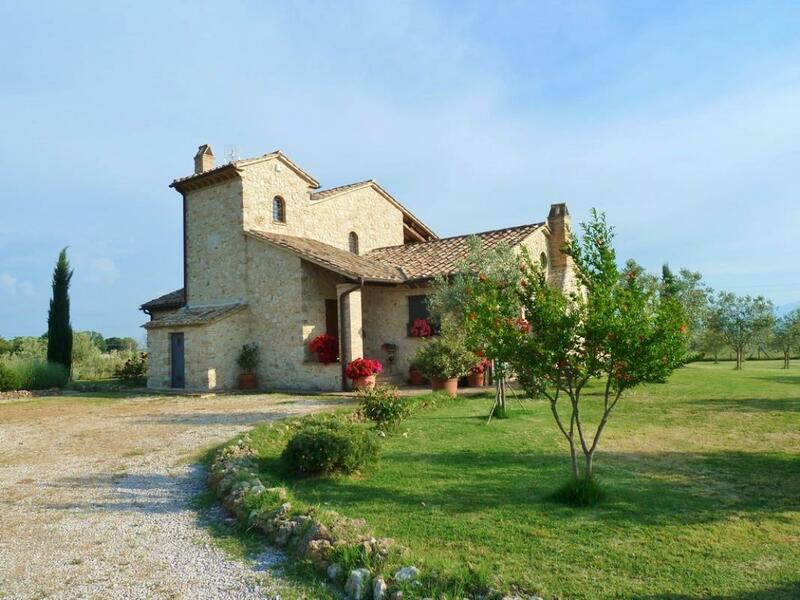 Stone-built country house a few minutes from Amelia, in a dominant position with views over the Umbrian countryside. 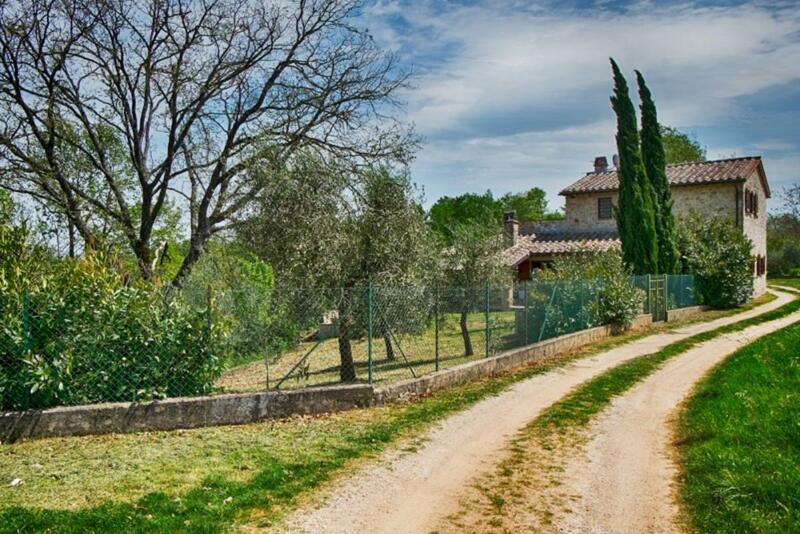 Characteristic Umbrian stone-built country house with 8,000sq m fenced garden planted with about 100 olive trees. 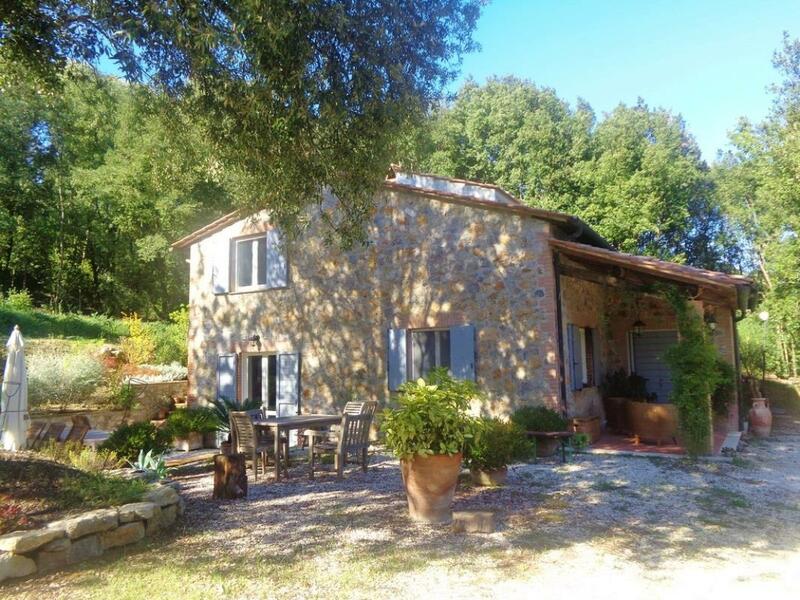 Restored farmhouse with restaurant and wine cellar, on a 400m high hill with views over the Umbrian countryside between Amelia and Todi, surrounded by olive groves and vineyards. 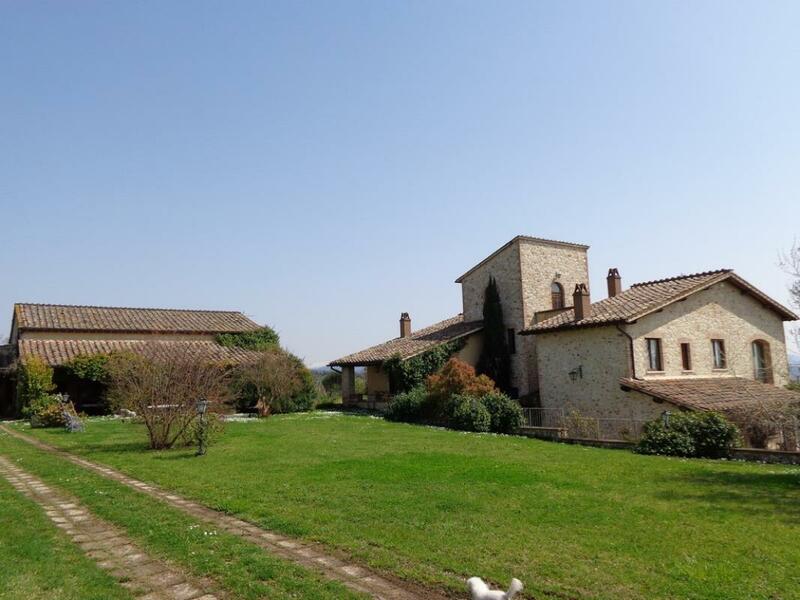 Large farmhouse needing completion, set in 7,000sq m grounds in Lugnano in Teverina, Umbria. 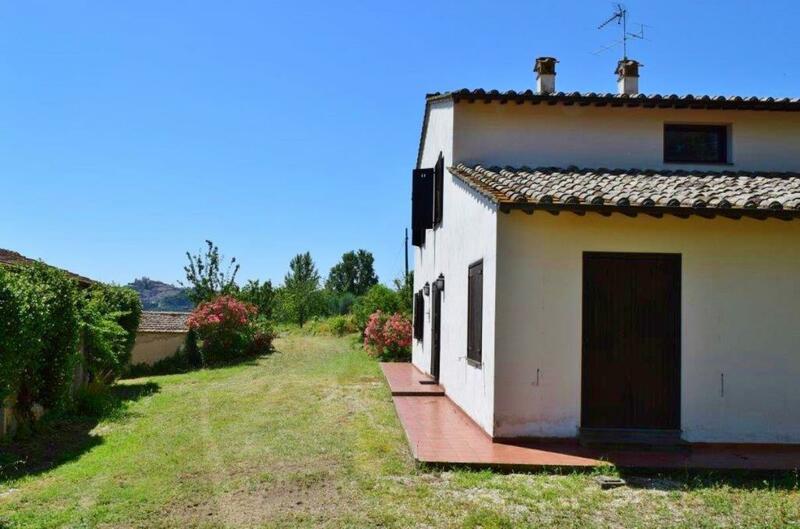 The property is set over 3 floors and measures 450sq m.
Two restored farmhouses with a plot of land of about 2 hectares, on a hill surrounded by a relaxing, unspoiled landscape. 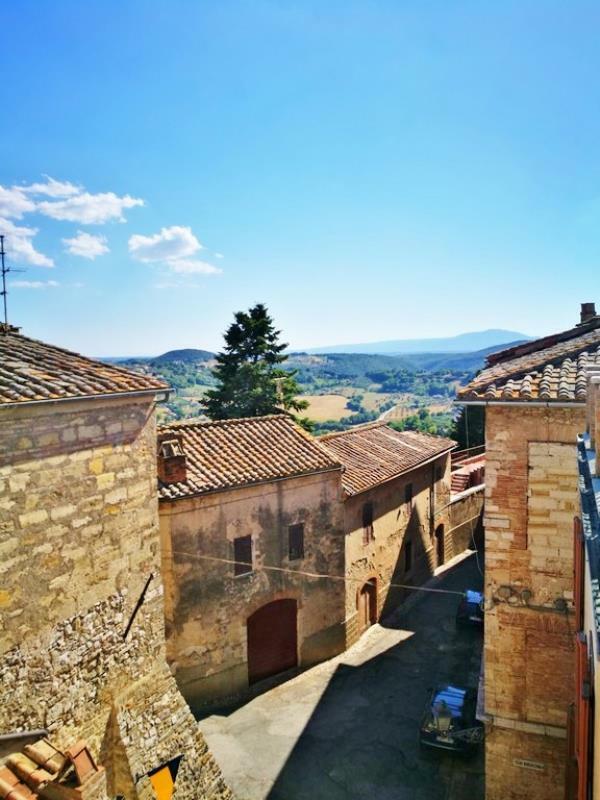 Charming medieval castle on a hill a few kilometres from Orvieto and near the regional park “Parco Fluviale del Tevere”, with views over the Corbara lake and the surrounding countryside. 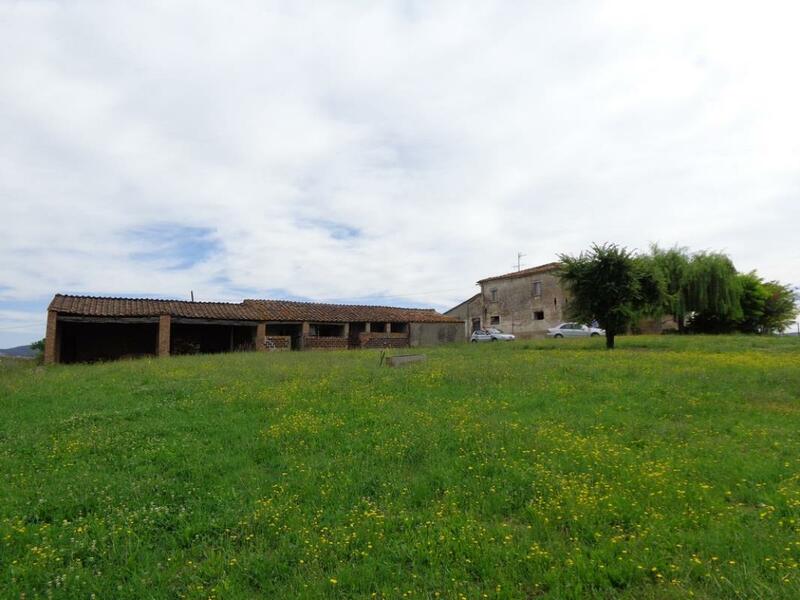 Restored farmhouse complex in the charming countryside of Amelia, in a slightly hilly but not isolated position with panoramic views. 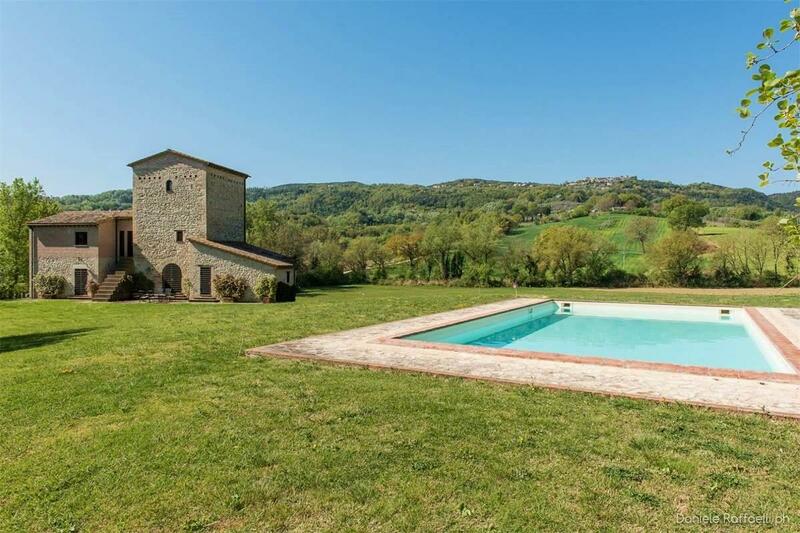 The property comes with a sunny swimming pool and a plot of land of about 4 hectares. 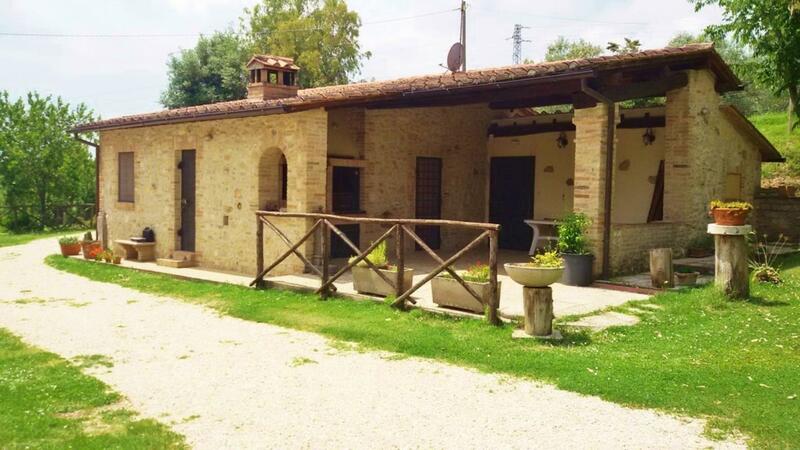 Old farmhouse from the 1600s, in a charming location, composed of the main building of about 500sq m and a guest house of about 150sq m.
Farmhouse in the charming countryside of Umbria, composed of one main building and several annexes, fully restored, for a total size of about 600sq m.
Charming country house on two levels, for a total size of about 500sq m, with a well-kept 2,000sq m garden planted with about 13 olive trees. REDUCED BY €130,000! 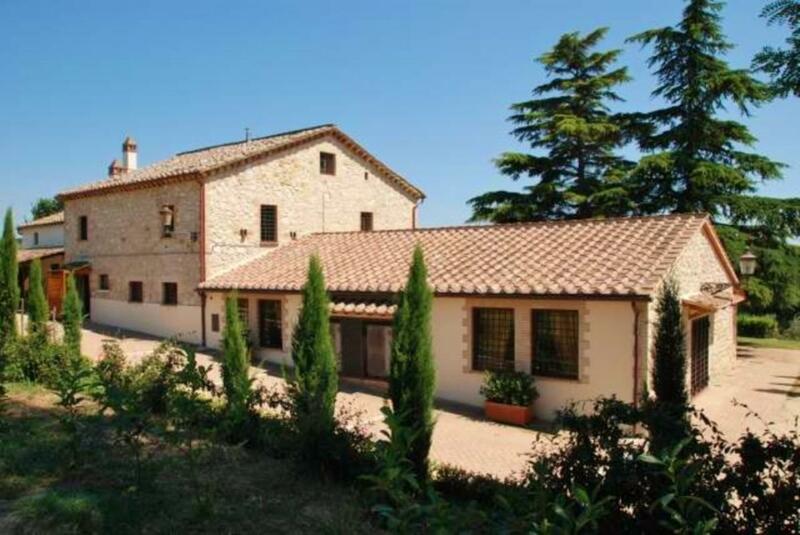 Charming property in the hills of Umbria set in 12,000 sq m of fenced land. 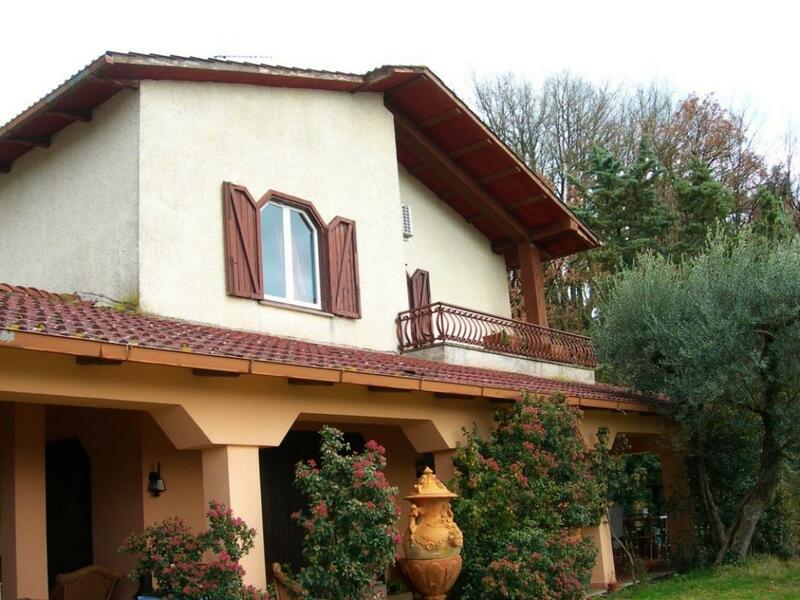 With guest house, pool and panoramic views over the Tevere valley. 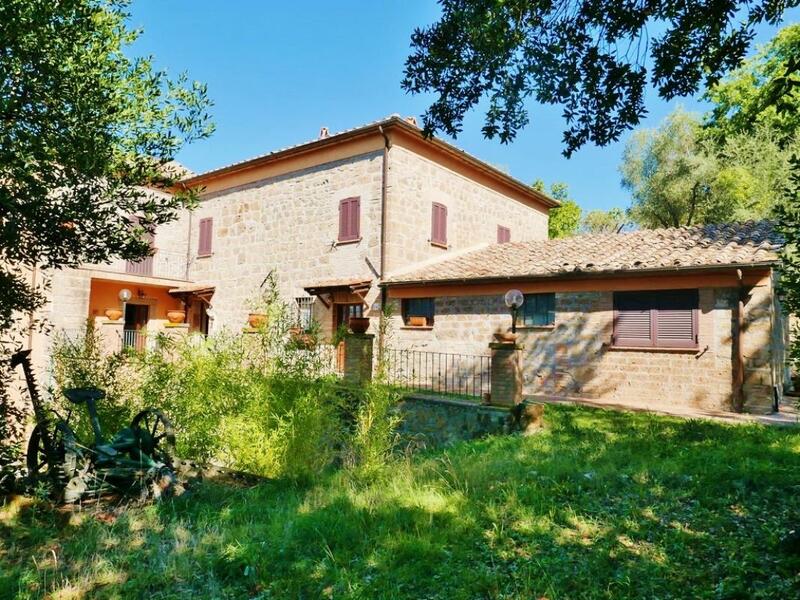 Restored farmhouse with about 4 hectares of land, in the beautiful countryside of Umbria, a few kilometres from the highway tollbooth and just an hour away from Rome. 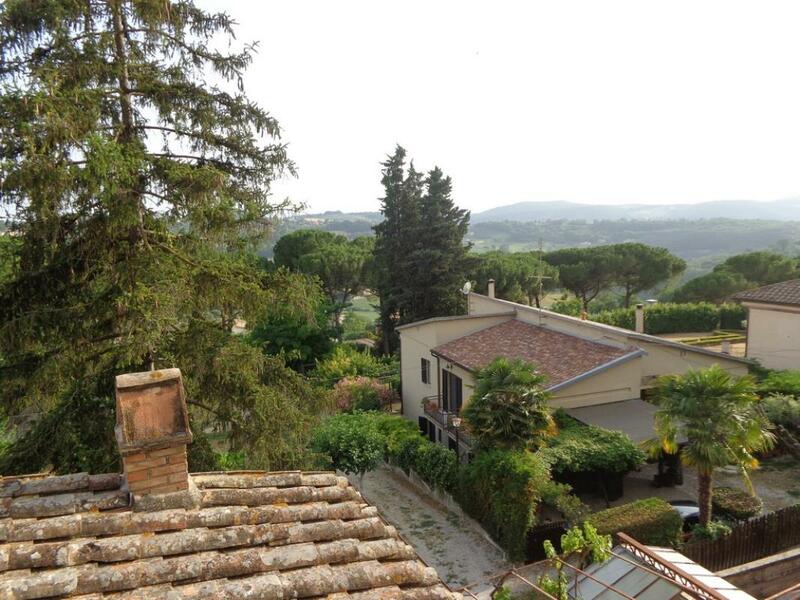 Town centre townhouse with lovely countryside views in Amelia, around an hour north of Rome. The property measures 50sq m over its 2 floors.